We LOVE Katz. It's that simple. Every product we've tried has been flavorful and like home made. When you're gluten free, having convenient, pre-made baked goods can be a life saver. And when they are a good as Katz, it turns into a blessing. We recently were given the opportunity to sample a few new products. Like always, it was a wonderful treat. Even the two non-gluten free guys in our family enjoyed it. The Coffee Bundt Cake was our favorite! This cake is perfect for a nice presentation. I'm thinking it would be nice for carrying in to a holiday dinner with family- assuring there is a gluten free desert and sharing the goodness with those unfamiliar with gluten free foods. 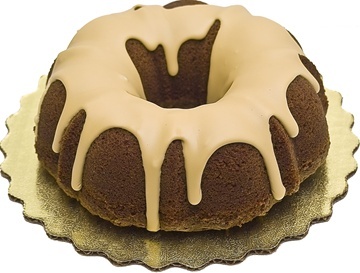 The cake is moist and the icing is a rich coffee flavor. Upon arrival, the icing sits in a cup in the hole in the middle of the cake. That way you can pour the icing over the cake for display, or spread it on piece by piece as we did here at home. Next we got to try the Apple Pie. Yay! I make gluten free pie crust at home, but it's a pain in the neck. It doesn't roll out well, so I have to press it into the pie pan. So pies I make are a special occasion. Having a pie ready to go without all the work is really nice. The taste is just what you think of apple pie. The crust is flaky and I didn't even have to fuss with it. The Snack Poppers are plain, lightly sweetened little poppers. A mix of cookie & cracker, these are nice to have around for snacks. Juju liked to dip them in nutella :) They are also good with ice cream. Or just to pop in your mouth in passing! Remember, these products aren't just for those who are Celiac. People who want to live healthy and add variety to their diet should eat gluten free products. We should have a variety of grains, not just wheat. Our modern diet is saturated with wheat - add variety with Katz. You'll be glad you did! You can purchase a huge variety of gluten free baked goods online at http://www.katzglutenfree.com/ or check here for local retailers. *Follow me @jamaise at Twitter & Tweet this : RT @jamaise #GIVEAWAY #WIN - a Katz Gluten Free Bakery prize pack - includes 10 products! & enter the Grand Prize http://bit.ly/phAsoY Ends 8/5 SO YUMMY tweet each day for one entry each ! 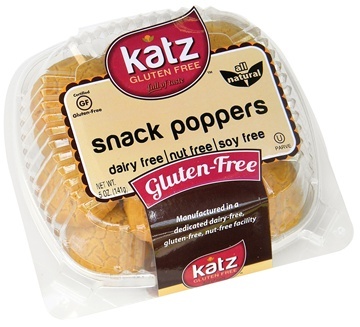 Disclaimer: Katz Gluten Free provided me with a free sample of this product to review, and I was under no obligation to review it if I so chose. Nor was I under any obligation to write a positive review or sponsor a product giveaway in return for the free product. These views are my own. I also entered the Walmart card giveaway. I entered the Katz giveaway, giving your name as a referral. I entered the Costa giveaway. I visited Katz and entered the Summer Giveaway! I entered the summer giveaway and I follow via GFC! I like Katz gluten free on facebook! 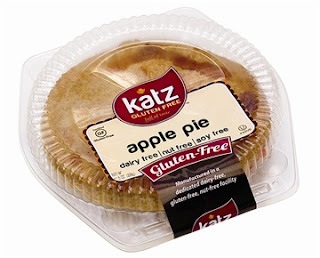 I like Katz Gluten free on facebook entry 2! I entered the Summer Giveaway and I'm following via Google Friend Connect (Dana). I entered the Costa Farms giveaway. I entered the $25 Walmart gift card Box Tops for Education giveaway. I entered Katz's Summer Giveaway.